Folate - Folate also known as folic acid is a B vitamin commonly found in foods like kale, spinach, asparagus, romaine lettuce, turnip greens, egg yolk, kidney beans, red lentils, black beans and peas. 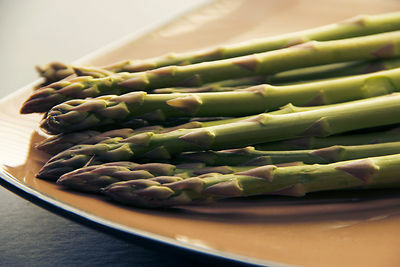 According to research, people who eat folate-rich foods regularly can lose weight 8 times faster than those who don't. Folic acid has the capability of maintaining stable blood glucose/sugar levels and as such, it decreases the chances of storing body fat as the glucose is used up as energy gradually. Too much sugar in your bloodstream make you more prone to storing fat. In addition, stable blood glucose gives the added benefit of increasing your metabolic activity making you burn fat faster. Omega-3 - It's no surprise omega-3 foods are included in the list. Omega-3 foods have long been praised for their multiple health benefits but they are also known to be very beneficial for weight loss. The truth is good fats can actually trigger your fat burning metabolism. Omega-3 contain essential fatty acids(EFA's) notably monounsaturated fatty acids(MUFAs) and polyunsaturated fatty acids(PUFAs). Popular sources of MUFAs include olive oil, walnuts, flax seeds, avocados, almonds whereas popular sources of PUFAs include wild salmon, sardines, anchovies which are oily fishes. Sardines rank number 1 as having the most concentrated source of omega-3s, a 3-oz serving yields 1950 mg whereas for wild salmon, it's 950 mg for the same serving size. Nutritionists recommend eating oily fishes at least once per week and this is what you should do. Omega-3 foods are also satiating and will keep hunger pangs at bay. Taking fish oil supplements is also a viable option. Vitamin C - If you're lacking vitamin C in your diet, this will impede your weight loss efforts. Vitamin C contains antioxidants which will strengthen your immune system, prevent fatigue and boost your metabolic rate making you more prone to burn fat. Rich sources of vitamin C include oranges, red grapes, strawberries, blueberries, kiwis, cantaloupe, papayas. Protein - In order to lose weight, you need to eat more protein. Protein is the building block of muscle tissues and vital after exercise too for muscle repair and rebuild. Lean muscle mass promotes fat burning and weight loss. Protein-rich foods are also filling and will prevent overeating. Good sources of protein include skinless chicken/turkey breast, eggs, fish, greek yogurt, cottage cheese, lean beef, buffalo, bison. Fiber - If you don't eat enough fiber, you'll have a difficult time losing weight due to constipation. Fiber promotes effective bowel activity and you should try to eat fiber every day. One great benefit of eating fiber-rich foods is they will keep cravings at bay since they are satiating and encourage slow digestion. Good sources of fiber include sweet potatoes, brown rice, wholegrain oats, oat bran, broccoli, cauliflower, celery, artichokes, beans, lentils, edamame, corn, apples, pears, berries and so on. Are Bananas Good For You When Losing Weight? Does Drinking Olive Oil Help You Lose Weight? Does Eating Six Meals A Day Help Lose Weight? Are Treadclimbers Worth The Money? Does A High Fiber Diet Help You Lose Weight? Does Gluten Free Help You Lose Weight? Is Quinoa Good For Weight loss? Does Detoxing Help You Lose Weight? Are Obese Men More Likely To Get Prostate Cancer? What Is The Best Treadmill To Buy For Home Use? Does Intermittent Fasting Help Weight Loss? Are Carbs Bad For Weight Loss? Why Should I do Bodyweight Squats For Weight Loss? Are Goji Berries Good For Losing Weight? Is Guava Good For Weight Loss? Does Undereating Cause Weight Gain? Does Diabetes Make You Lose Weight? Are Smoothies Good For Weight Loss? Is The Mediterranean Diet Good For Weight Loss? Is Whey Protein Good For Weight Loss? Are Fish Oil Pills Good For Weight Loss? 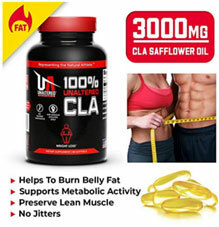 Burncaloriesforlife.com is a participant in the Amazon Services LLC Associates Program, an affiliate advertising program designed to provide a means for us to earn fees by linking to Amazon.com and affiliated sites. All the articles on this website are the property of BurnCaloriesForLife.com and no part may be reproduced or transmitted in any way or by any means.